Take your work with you wherever you go, using the DELL Latitude 3160 11.6″ Laptop .This laptop is powered with Intel® Pentium® N3710 Quad Core processor that delivers higher performance with a speed of 1.6GHz. Built with 4GB RAM, this notebook boots and runs complex applications smoothly without any delay. The 128GB SSD storage capacity gives enough storage space for storing and retrieving your critical data whenever needed. It comes with a 11.6″ screen with HD resolution (1366×768) that ensures you get to view clear images. Equipped with the Windows 8 Home 64-Bit operating system, it lets you experience a complete user friendly interface. 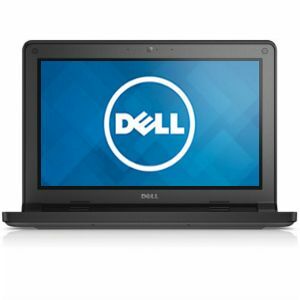 Purchase the DELL Latitude 3160 11.6″ Laptop today!